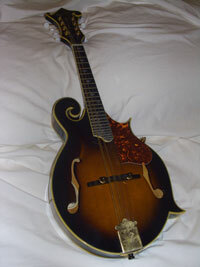 Check out this Washburn M3SW Mandolin on eBay. And stay tuned for another personal status update from me! And a big round of applause for making it to the big 100th post. Almost 18 months after I started… I’m (mostly) still here. Also, please check out Zack Scott Reports. Zack paid large sums of money for me to compose his theme song, and he deserves the marketing. These reports are actually quite amusing.